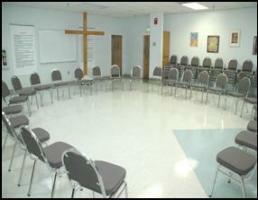 Opened in 1988, The Shoulder is a Christian ministry to adult drug addicts and alcoholics. We offer both residential and non-residential programs. Our primary tool is a Christian 12-step procedure. We emphasize the spiritual dimension of recovery. In 2005 hurricane Katrina destroyed the Christian rehab center. Because there are few alternatives for addicts and alcoholics in our region, the state quickly offered a temporary solution. The Shoulder reopened it's doors shortly thereafter. We offer a weekly family night because we believe that the entire family is affected by recovering addict's behavior. We also offer codependency groups for people who are living with addicts or alcoholics. The Shoulder is able to host 20 people at one time. 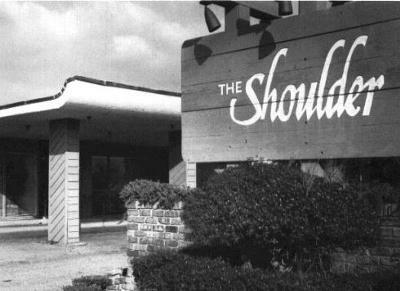 The Shoulder presents a treatment experience which offers freedom from addiction through a spiritual awakening. The treatment provided follows a Christ-centered, Twelve-Step model. The afflicted client is treated with respect and dignity as befits one of God’s children. Counselors focus on recovery as a process of restoring the broken harmony of the mind, body and spirit existing in people with addictive problems. Please visit our web site or call us at (251) 626-2199 for more information.